As you’re gearing up to head out and hit the road to Bikes Blues and BBQ, our official insurance sponsor, Progressive Insurance, has you covered with answers to all your motorcycle insurance questions so you can bike worry-free. Whether you’re a seasoned rider or new to the road, Progressive offers the inside track. Got questions about motorcycle insurance? CLICK HERE. Think you’re already a motorcycle insurance expert? That’s cool, then go ahead, check out more and consider getting a Progressive motorcycle insurance quote today. Also, don’t forget, Progressive has you covered at the rally with free secured, covered 24 hour parking as well as beard or mustache trims, straight razor shaves, shoe shines, and manicures, all for free, at Flo’s Chop Shop. 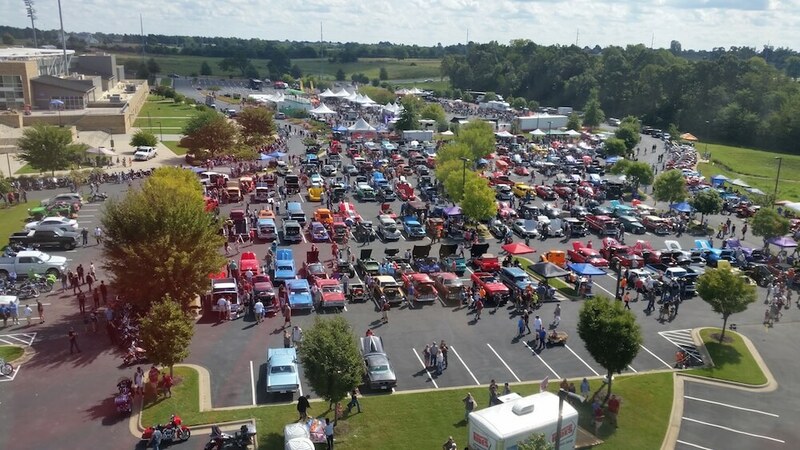 Sponsors are part of the lifeblood of the nation’s largest charity driven motorcycle rally and we are so thankful for all the companies and individuals who help to make this possible by lending their support to the rally. Bikes, Blues & BBQ is the largest charity driven motorcycle rally in the United States. 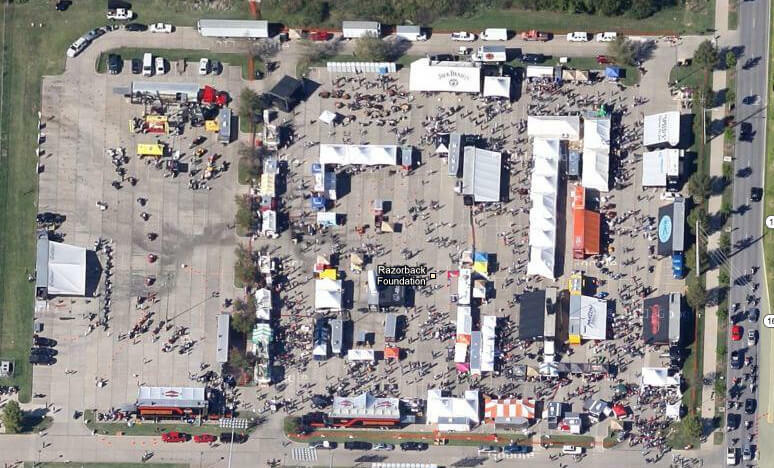 In 2018, hundreds of thousands of people attended Bikes, Blues & BBQ; a huge part of the success of the rally comes from the contributions and uniqueness of our vendors. People who attend Bikes, Blues & BBQ come from all 50 states and many countries to check out the merchandise that our vendors have to offer. Bikes, Blues & BBQ is a family-friendly rally, please take this into consideration before submitting an application. This is where it all began! You will find the best in festival food, free live music, cold refreshments, and an assortment of merchandise to please all attendees. There will be vendors ranging from ride wear, leathers, and fashionable apparel, to insurance, legal council, and veteran information. There is something for everyone! Even if you are not a biker, you will find something just for you! Welcome to Motorcycle Village! Looking for that part or accessory to make your machine mean? Look no further! This Lot hosts everything from motorcycle manufacturers, aftermarket parts and accessories, bike maintenance and care products, the latest in ride apparel and fashion, and the anchor of the whole venue, demo rides! That’s right, if you want to know how the bike rides, this is your chance before you buy. The WAC lot hosts the Sponsor Lot and Food Court, which serves as entrance to the BBB Beer Garden and Main Stage. 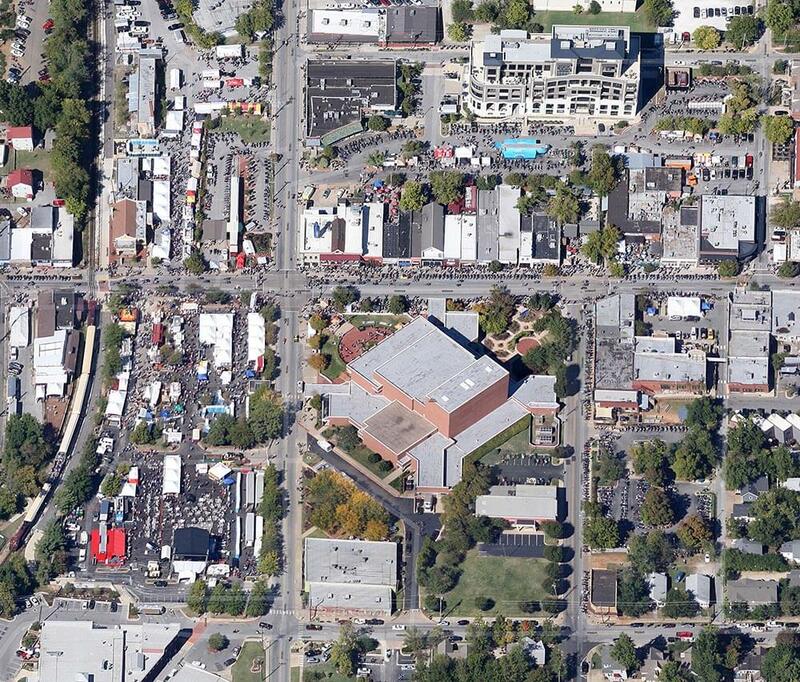 The House Lot is directly north of the WAC lot and between the two is considered Dickson St Ground Zero. 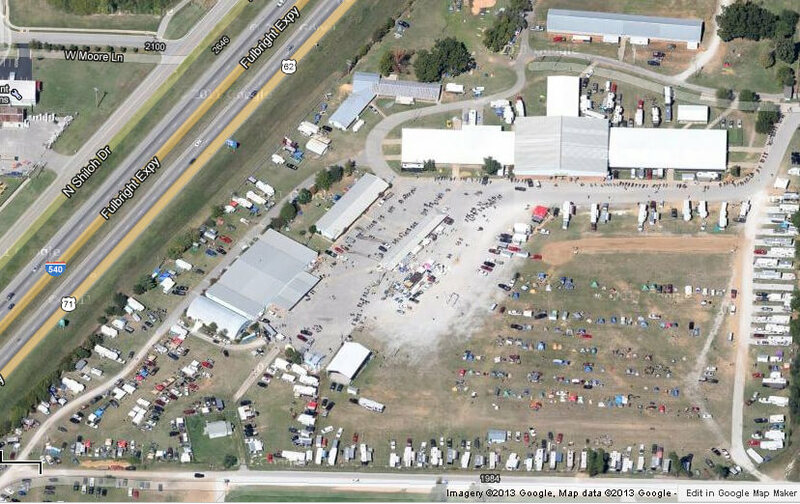 The Fairgrounds is the Official Campgrounds of Bikes, Blues, & BBQ! This venue comes complete with the KCBS State BBQ Contest, BBB Saloon, Lawnmower Pulls, Live Music, Karaoke Contest, and many more attractions. This is where the Parade of Power starts, and where the party never ends! The Arvest Ballpark venue is our newest venue. It is the home to the Bikes, Blues and BBQ Car Show.